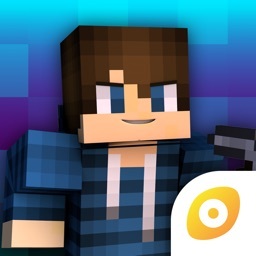 Tired of looking like Steve or Alex? 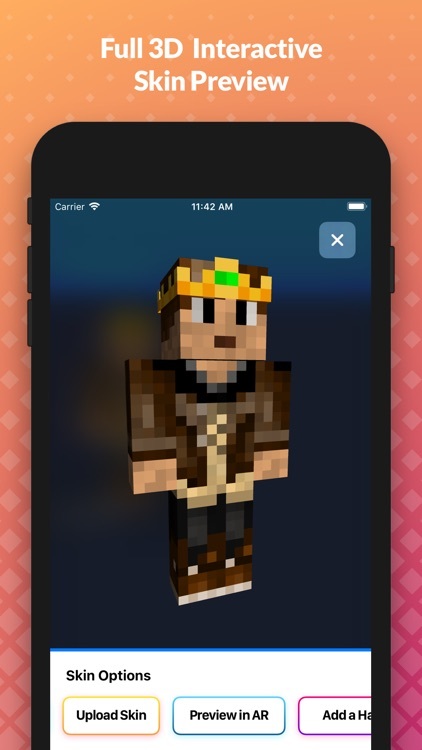 Over 1 million Minecraft players have taken advantage of our #1 Minecraft editor to create their own skin! #1 Ranked Utilities App in over 20 countries! 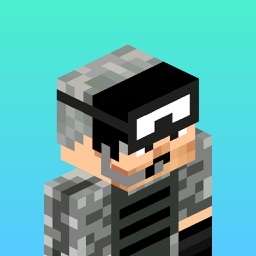 -- Connect your Java Edition account and apply your skins instantly, without having to repeatedly sign in. -- See your character in real life! Place it on any surface and walk around the character on supported devices. 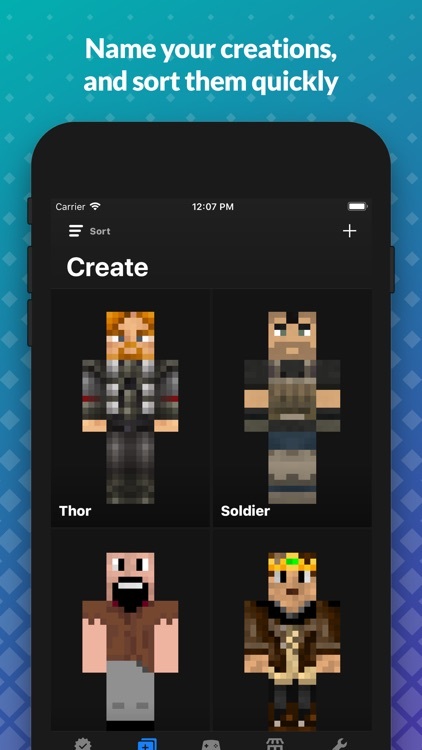 -- Set up your own custom shortcuts to claim rewards and more! 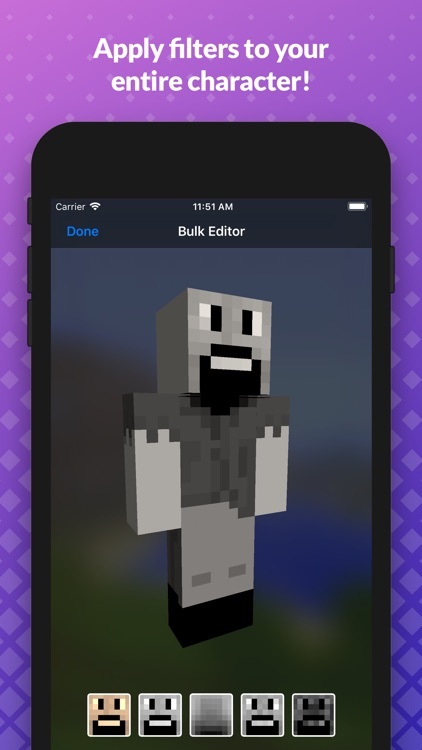 -- Drag skin files to other apps or import skins saved from your other apps. -- Press to draw thicker lines in our editor. 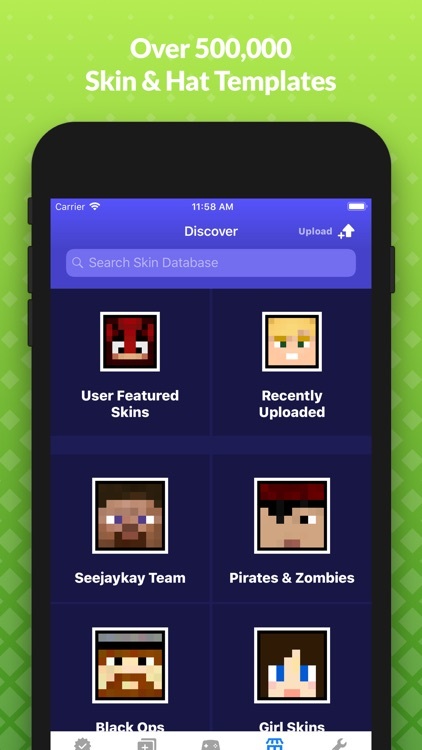 Search hundreds of thousands of skins in our database, or upload your own! 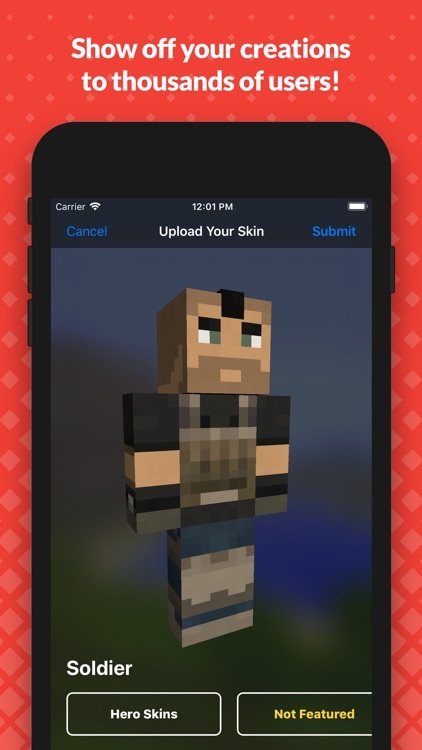 With our new upload system featuring new Games Pro Network accounts, you'll get upload notifications and even see skins created by other users. 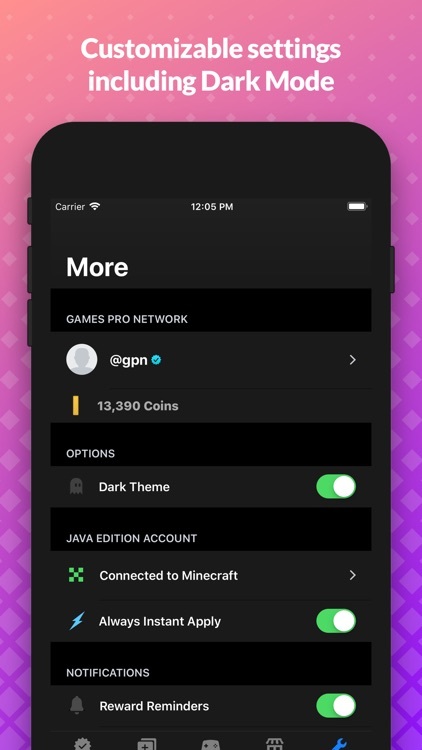 With a Games Pro Network account, you can claim daily coin rewards, collect bonuses, and compete with others to collect the most! 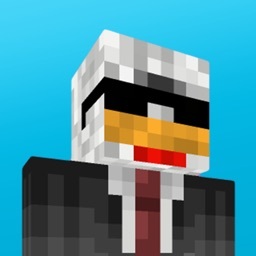 - Load a Java Edition user's skin and modify it for your own! 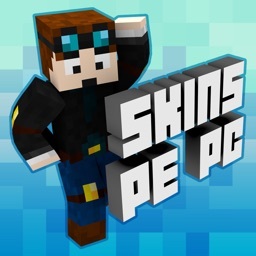 No other platform compares to Skins Pro Creator for Minecraft. 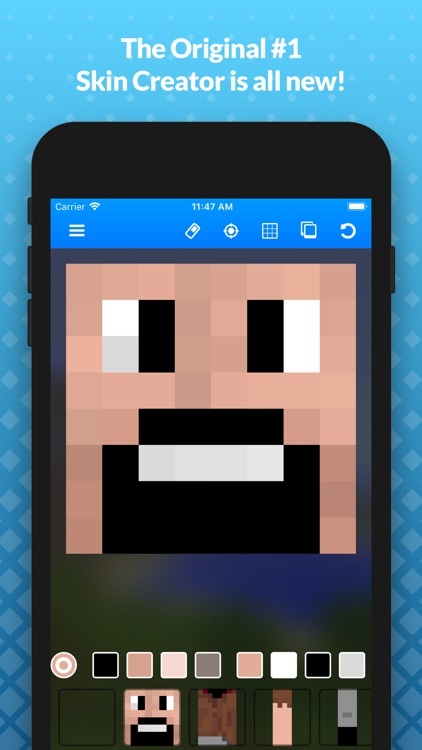 Download the only professional quality Minecraft skin editing platform available today! 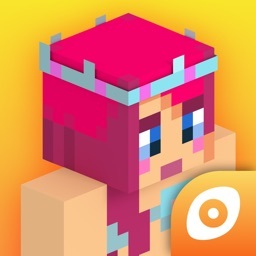 This is not an officially supported product by Mojang. 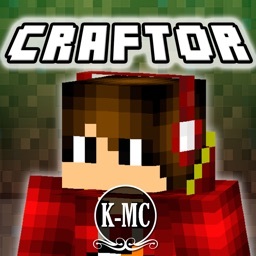 This app and Seejaykay Corp are not affiliated with Mojang AB or Microsoft.